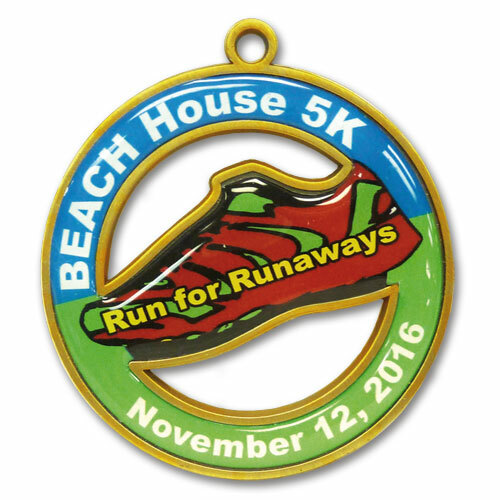 A full-color 3-inch medal specially designed for road race events. Each medal includes a full-color emblem and epoxy dome. Our art department is available to help you design your new medals.